We supply both blue-chip companies and small businesses. Simply make an enquiry to our Corporate Manager, Paul Rockett, at info@chocolatesandfudge.co.uk, telephone 01594 529611 (direct line), or use the enquiry form button below. (form opens in a new window). 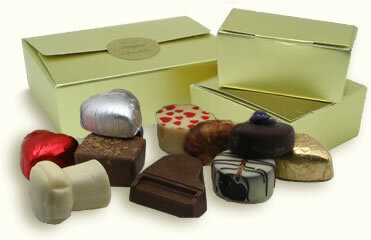 We specialise in high quality, hand-crafted chocolates and fudges. 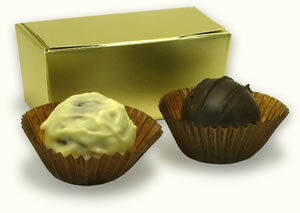 For example, an ideal 'thank you' or small gift to your clients could be our 'two-choc' box. You choose - and we deliver. Fudge can be made to order, and both fudge and chocolates packed in branded boxes from a one-choc size up. The more you buy, the bigger your discount. We will quote accurately and guarantee your delivery date. A unique feature of our business is that we can supply individual single boxes but also deliver large, virtually unlimited numbers, too.